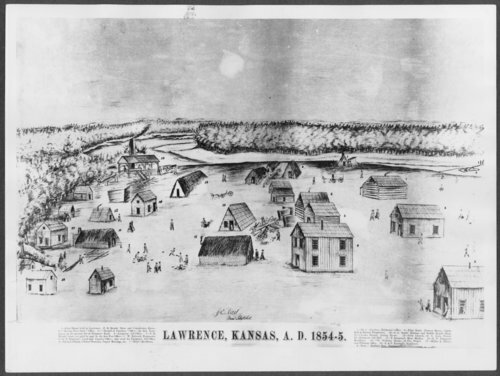 This black and white photograph shows an early illustration of Lawrence, Kansas, looking north toward Massachusetts and Vermont Streets with the Kansas River in the distance. The sketch also includes several homes and business that were in existence during the town's early beginnings. In the lower portion of the image, a description is provided identifying the prominent places within the community.